Well.... how do people find your website? So you have a beautiful shiny new website – you’re really pleased with it -- but the burning question nagging at the back of your mind is “how on earth will it be found?” That is a very good question! Because apart from word-of-mouth, and maybe advertising in the local newspaper or giving out business cards – it’s not immediately obvious exactly how people are going to find your website. The most popular way to find a website is by using search engine. In fact, 90% of people looking for websites will type something into Google or other search engine such as Yahoo or Bing. But without what is known as search engine optimization (or SEO for short), your lovely website may well remain forever floating aimlessly in the black hole of internet obscurity, never being found by people searching on Google. An experienced SEO expert can lift your website from the depths of page 8,953, up the rankings, so that potential customers will actually find you when they search. 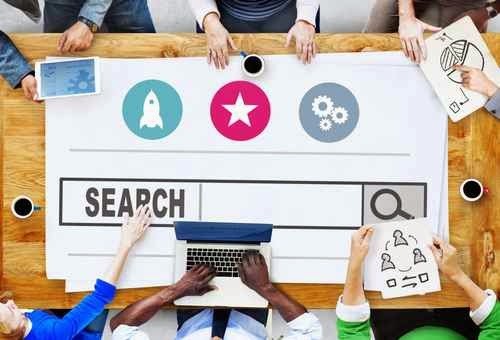 As a rule, when someone types in a word or phrase, a search engine will sift through the millions of pages it has listed that match that topic, and deliver the results nearest the top that have been optimized in the best way to match the relevance of that topic. Of course, there are quite a few real world physical ways that your website can become known about, but the fact remains that only 10% of people looking for a website will use methods other than search engines. I’m sure you’re well aware of the ridiculous cost of advertising in newspapers etc, and let’s face it, once your advert expires, you’re going to have to shell out more to keep relisting it, just to keep in the public eye. The difference between found on Google and having your website address seen on, for example, a business card or leaflet, is that people can instantly interact with your business. They can even bookmark your website to view again later. So what is website optimization in practice? Website designers doing SEO will use a variety of techniques and code that they build right into the foundation of the website itself. These protocols are collectively known as “on page SEO” and are best carried out before the website is launched. It is important to understand that these techniques revolve around specific key words and phrases that people might type into Google related to your topic or local service. These keywords are chosen very carefully, and a good SEO practitioner will use expert methods to choose them wisely. Finding the beast keywords means analyzing the competition from other businesses and websites in your field. Once the website itself is optimized and launched on the internet, the real fun begins…building up in a host of diverse ways, over a number of months, the popularity and reputation of your website: “off page SEO”. This takes a lot of time and hard work, but must be done expertly so as to keep within Google’s guidelines and be effective. Remember that a prospective customer will probably only look at the first page or two of search results. So it does matter where your website appears in the search engine ranking. The aim of effective SEO is to ensure the best chance of getting to these much sought after top pages of Google.